Pc Repair template is latest 3.5 version of Joomla. It is a responsive template with many useful functions. This template can be used by a computer or electronic repair companies. It is the best way for the startup business. 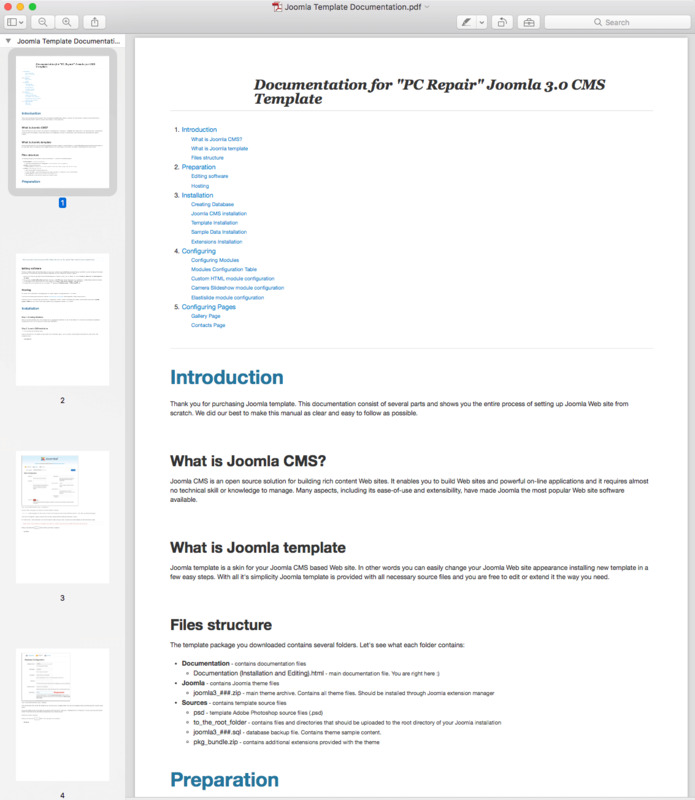 This template is realized in the CMS system. What is CMS? It is a Content Management System, It means that template has a special page called admin page (for site administrator) and by this page, it is possible to manage the easily full site. Under "manage easily" we mean: Create new pages with its content (texts, photos) and delete those. Create unlimited categories and also delete those. Upload texts, images, documents and so on... 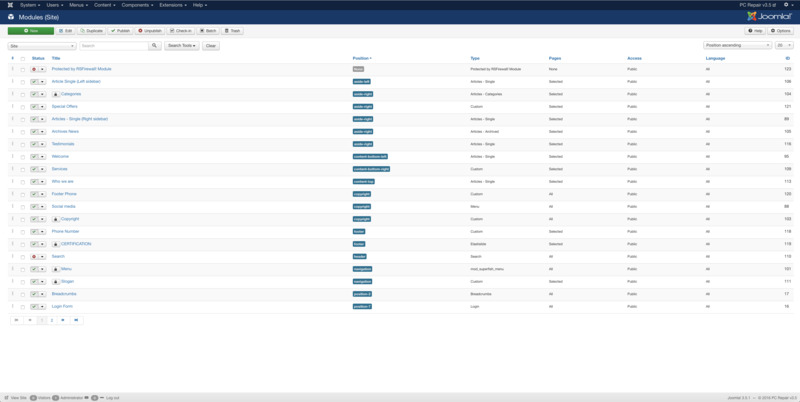 Your visitors can be registered on your site and receive emails from you. So this template as we have told is the best way for start-up Business. Computer repair Joomla template package includes all images which you see on the preview page, all these images are legal and can be used by the website owner. Also, the template package includes 1-page design in .psd format, and of course includes installation package too :). In case of, if you have not installation experience or if you do not have time for this, we can do it for you. 1. 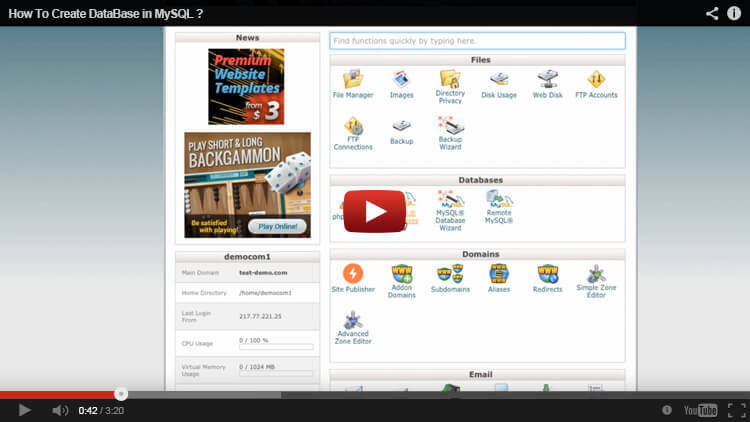 HOW TO CREATE DataBase in MYSQL ? 2. 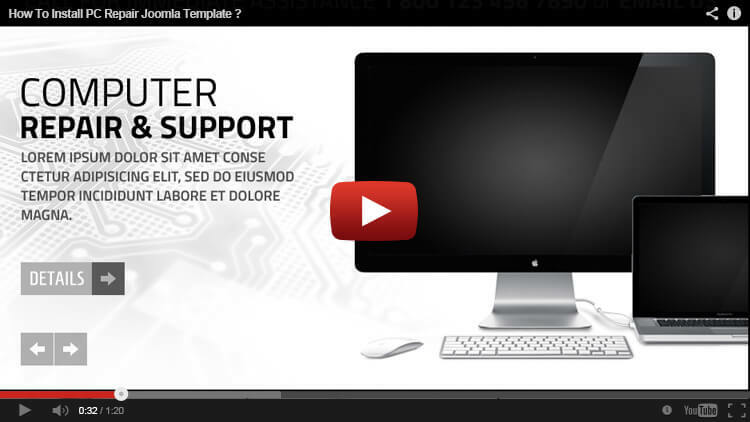 HOW TO INSTALL PC REPAIR JOOMLA TEMPLATE ? 3. HOW TO SET SOCIAL MEDIA BUTTONS IN PC REPAIR JOOMLA TEMPLATE ? sorry but didn't understand what are you talking about, would you please be so kind to explain better how can I help you. answer on 1st question: joomla is different product then wordpress or other CMS with wordpress is possible automated renew or update version, but with joomla not, because new version of joomla is different product than old version and when you update it you will see errors or you will damage your site. Hi, we have uploaded new video guide, please find answer on your 3rd question: HOW TO SET SOCIAL MEDIA BUTTONS IN PC REPAIR JOOMLA TEMPLATE, Please see 3rd video tutorial. For information: If you need any hep with this template please write your comments or questions below and we will upload step by step video tutorials for this template here.